Weekly Update 2017-40: The outspoken and entrancing sounds of Ellise Barbara's Black Space, the 'right' way of tipping, and a new e-reader for sheet music. I've also started working on the packing app I mentioned last week. I spent a full day working on it, hoping to get some sort of finished piece out of it by the end. I didn't realize that much of the visual comp creation time I budgeted would be taken up learning how to use symbols in Sketch, but it's good to learn that as well, so no time wasted there. I'll be continuing my work on it for perhaps one more day of comps. On Friday I went to the Exhibition in Design, Innovation & Technology hosted by Toronto's very own Design Exchange at the old Unilever soap factory. It was a day simply packed with talks by David Suzuki, Emily Haines (lead singer of Metric), Scott Dadich (former editor-in-chief of Wired Magazine and producer of Netflix's Abstract, and so many more. It was so cool, I went back again on Saturday night for Nuit Blanche. There was so much to see that I didn't get a chance to see anything else, but I think I spent my time well anyway. I've also got a good idea of what I want to submit to the 4th annual Swash & Serif exhibition, and I've planned out a schedule to get it all done in time for the October 14 deadline. My goal this week is to continue practicing for my Bat Mitzvah, spend another day or so on the packing app (Thursday at the library), and source out a printer for my typographic piece. I'll also be travelling to Kitchener this weekend for their annual Oktoberfest. It's not as cool as the Munich one, but I'm sure it will be lots of fun! With the advent of credit card machines for paying at restaurants, it's great that we no longer have to do mental math to pay a tip. 15% is standard, so all I have to do is tap the 15% button and it's done for me. Except that the math is almost always wrong. Have you ever noticed that? Many people disagree with me on this, but I don't think it's right to tip as a percentage of the total, after tax. That basically means I'm paying a tip for good service in charging me tax? It's just not right. Most machines (but not all) will apply tip on top of tax, and hilariously, they will differ from the "suggested" tip that might be printed on the bottom of your bill (tip calculated before tax). So obviously these restaurants don't even know they're making a mistake while using two different systems for calculating your tip for you. This is one thing that I think is done better in other countries. Tax should always be included in the price of everything you see, removing the guesswork. And tipping should always be optional, like it is almost everywhere outside of restaurants. I bet that if we started paying servers an actual proper wage and only included tipping as an option, servers would work harder to provide good service and maybe even make more in the long run. Technology is constantly being used to improve processes which have traditionally only existed in an analog format, and I find it really interesting when a breakthrough emerges that can convince all users of the analog format to adopt a new technology-enhanced method. Gvido has done just this, in creating a special double-screen tablet designed specifically for use reading sheet music while playing an instrument. For piano players (or really any musician), this is a true breakthrough. You can download and use sheet music easily without having to print, wait for delivery or go out and purchase at a real store (does anyone do that anymore?) but I do have some notes about how to improve this device. I am not a piano player myself, but I do know the struggle of turning pages. Some pieces are so difficult that my piano-playing friends have enlisted myself and others as resident page-turners so that they can focus on playing. While this digitized version certainly has the ability to improve this process, it falls short. Yes, it's easier to tap a button than to flip a page, but why not take this further? Perhaps there could be a camera that senses your eye movements and can see when to turn the page automatically for you. Or instead, a sound sensor that can hear you play the music and therein knows when to turn the page? I'd say this device solves a problem about halfway to success. This is why it's so important to conduct proper user research at the beginning of a project before moving into problem-solving mode. 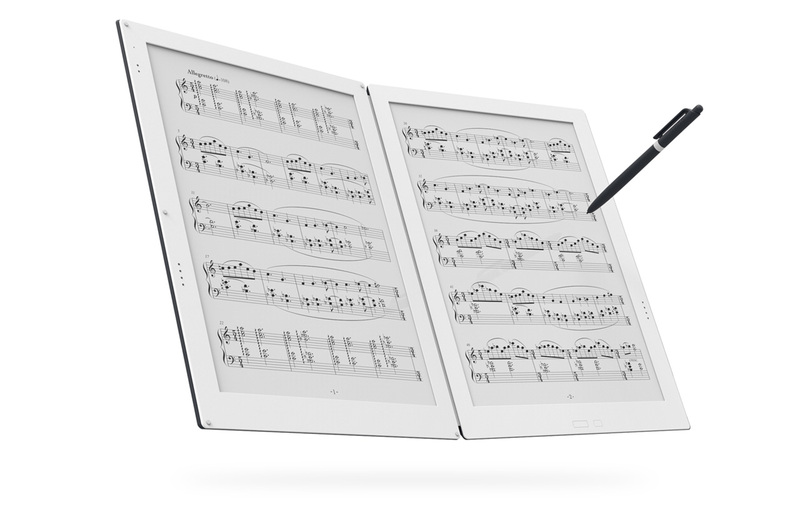 Within just one interview with a piano player, the creators of Gvido could have figured out that a major pain point is the turning of pages, and applied a better solution than the one they have. Though of course, this is definitely a step up from the original analog process! If they can get the price down a little bit from its selling point of around $1600, I could see this device being used in pianos everywhere.